Wasim said Sarfaraz should have avoided making the comments that he did in the third One-day International in Durban but it was wrong to speculate about his future in the Pakistan team. Former captain Wasim Akram on Tuesday slammed Pakistan Cricket Board’s decision to call back Sarfaraz Ahmed from South Africa after he was handed a four-match ban for breaching the ICC’s Anti-Racism Code. Wasim said Sarfaraz should have avoided making the comments that he did in the third One-day International in Durban but it was wrong to speculate about his future in the Pakistan team. “It was a wrong decision to call him back from South Africa when he could have played in the final T20 on February 6,” said Akram. 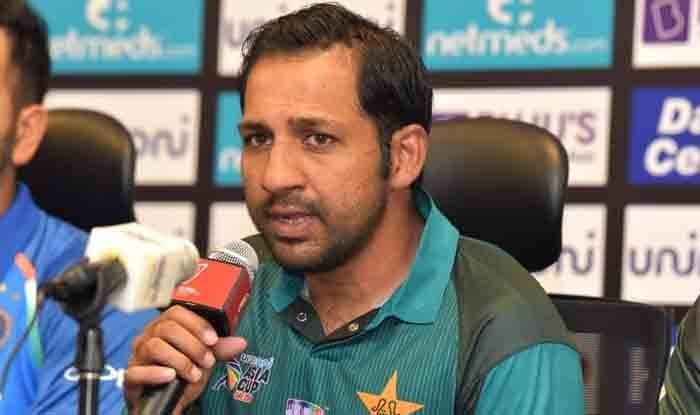 “What Sarfaraz did was wrong but it is also a fact that more than anyone else, Pakistanis around the world hyped up his comments and created an issue,” said the fast bowling great. The former skipper, who is also on the PCB’s cricket committee, was clear that Sarfaraz should remain the national team’s captain. “There is no need to change the captain before the World Cup. We need a long term captain not a short term one. Shoaib Malik is leading the team now and is doing a fine job but even he has said he will retire from ODis after the World Cup,” he said. Wasim said the only reason he was backing Sarfaraz was because he was a fighter and had led the side with courage in all formats. “He is still learning and will get better as he matures and gains more experience. It would be wrong to remove him as captain.” During the third ODI, Sarfaraz was caught on the stumps microphone as saying after Andile Phehlukwayo played a risky shot: “Hey black [man], where is your mother sitting? What prayer did you get her to say for you today? (Abay kaalay, teri ammi aaj kahan baitheen hain? Kya parhwa ke aya hai aaj tu?)”. The PCB has expressed its utter disappointment with the International Cricket Council (ICC) to ban Sarfaraz for four matches, noting that he had apologised immediately for his remarks to the South African team and even met with Phehlukwayo and expressed his regrets to him.